Estifanos Worku Abeto grew up in the town of Hosaena, in the southern region of Ethiopia. The son of a farmer and his second wife, he got a job out of high school working for the local government in agricultural research. Later he studied botany at Haramaya University, returning to the civil service where he would stay for the next 35 years. 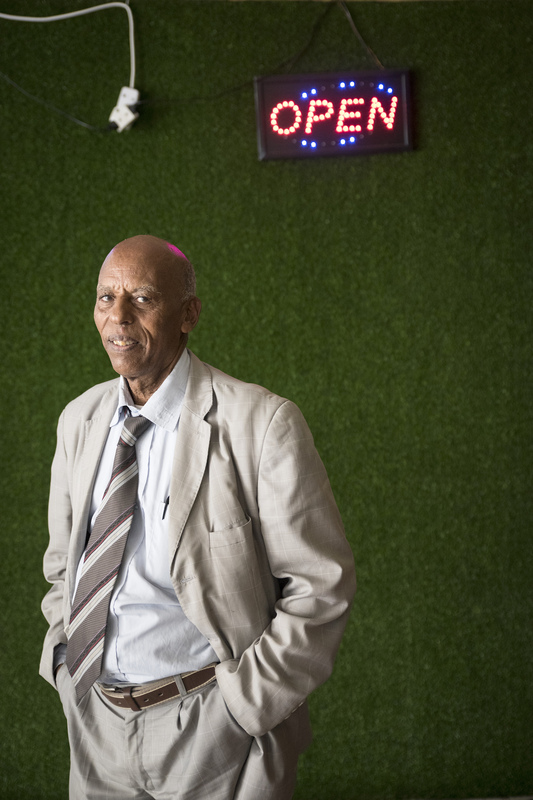 He escaped the country in 2007 because of political problems, opening a shop with other Ethiopians in Tsakane, 50 kilometres southeast of Johannesburg, in February of 2008. Three months later, the xenophobic attacks erupted across the nation. The police took us to go to the UNHCR camp, which was set up in Springs. There were more than 300 or 400 people staying there by then. We ended up staying there for five or six months, living in tents, and they gave us food, clothes and blankets. It was very comfortable. I thank South Africa for this. In the camp, I helped to coordinate the people. The Ethiopians elected me and, with the guys from Malawi and the other Zimbabweans, we were arranging the queues and the donations that were coming in. Many different politicians came to the camp. They said, ‘Don’t worry. Be patient.’ The white politicians [from the opposition Democratic Alliance] said, ‘Maybe you will go to another country.’ The ANC politicians were saying, ‘You must integrate.’ They told us those people who attacked us were in prison. But those people were not in prison; it was not true. They were saying that just to comfort us. But after the politicians came, the camp was closed and the few of us who were left were taken to another camp. I remember very well one man, a Rwandan from the United Nations, who spoke French. He said he could help me because I was a gentleman. But he was only helping the Congolese. He was a corrupt person. He was taking money. But I had none. He said, ‘Don’t worry, I’ll help you.’ But he didn’t help me. Only God helped me. 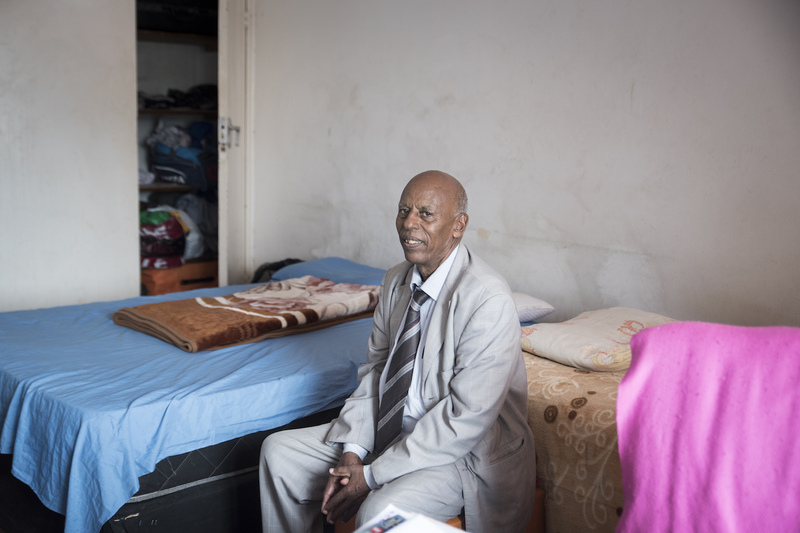 After the camps closed, Worku Abeto headed back to Yeoville, where he still lives in a small room with three other men. Since the attacks, he has been actively involved with the diaspora community, including the African Diaspora Forum. 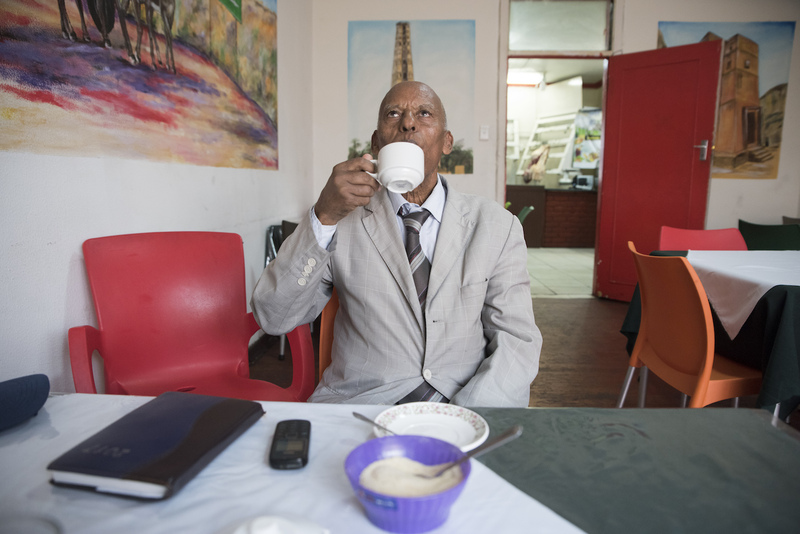 Worku Abeto often represents Ethiopians living in Johannesburg in matters with the government. There were xenophobic attacks in Soweto again in January 2015, and foreign shops were looted for one month. The Soweto community then said they didn’t want any foreigners in Soweto. There was one lady, Mama Rosa, who wrote a report for the small business minister. I went to Pretoria to represent the Ethiopians, but there were also representatives from Somalia, Pakistan and Bangladesh.